At WWT we work together for a positive future, people feel part of something amazing and are motivated to make a difference. As The Volunteer Recruitment Assistant you will help to attract new volunteers by promoting the exciting opportunities that we have at Martin Mere. This will involve working with the centre staff and with the Volunteer Development Officer to plan the most effective ways of achieving this. You will help to attend volunteer recruitment fairs and give some talks at local community groups. You will help to organise publicity literature including distributing posters and leaflets. You might also be asked to talk with visitors at the centre. How much time will it take? This role will probably be one day a week but this might be flexible with regards to attending volunteer recruitment fairs and talks and presentations. It will be agreed between you and your line manager. Attending volunteer recruitment fairs, giving talks and presentations to community groups and Universities to promote the volunteer opportunities at the centre. Communicating with the organisers of these events to make sure that we have everything in place to give a successful talk. Working with the centre staff and the volunteering development officer to get a better understanding of the roles and to co-ordinate your time to have the bigger impact on recruitment. Helping to ensure that there is adequate promotional material to distribute. This will include, posters, leaflets, role descriptions and even some case studies. Carrying out general administration duties such as checking emails and booking the talks and fairs. Other tasks as directed by the volunteering developments officer. Have the confidence to present to a group of people and attend a recruitment fair to talk to people about our volunteering. The opportunity to volunteer within an internationally important & longstanding conservation charity and gain experience in a busy, people-focussed environment. Gain a good understanding of how volunteer recruitment works and gain great experience at promoting opportunities to others. Please go to www.wwt.org.uk/volunteer to see details of this role and then complete and submit the online application form. 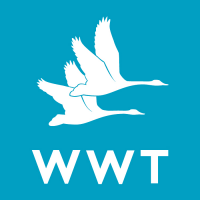 Please email volunteering@wwt.org.uk if you have any problems with completing the application form.